This poster series comes from the book of Job. It is a story beginning with hardship, frustration and hurt, with an ending of redemption and forgiveness. I'm excited today to reveal The Story of Job: Conclusion, part six of a six part series. The Story of Job: Conclusion begins in Job 42:7-17 (NLT) which says, "After the Lord had finished speaking to Job, he said to Eliphaz the Temanite: 'I am angry with you and your two friends, for you have not spoken accurately about me, as my servant Job has. So take seven bulls and seven rams and go to my servant Job and offer a burnt offering for yourselves. My servant Job will pray for you, and I will accept his prayer on your behalf. I will not treat you as you deserve, for you have not spoken accurately about me, as my servant Job has.' So Eliphaz the Temanite, Bildad the Shuhite, and Zophar the Naamathite did as the Lord commanded them, and the Lord accepted Job’s prayer. When Job prayed for his friends, the Lord restored his fortunes. In fact, the Lord gave him twice as much as before! Then all his brothers, sisters, and former friends came and feasted with him in his home. And they consoled him and comforted him because of all the trials the Lord had brought against him. And each of them brought him a gift of money and a gold ring. So the Lord blessed Job in the second half of his life even more than in the beginning. 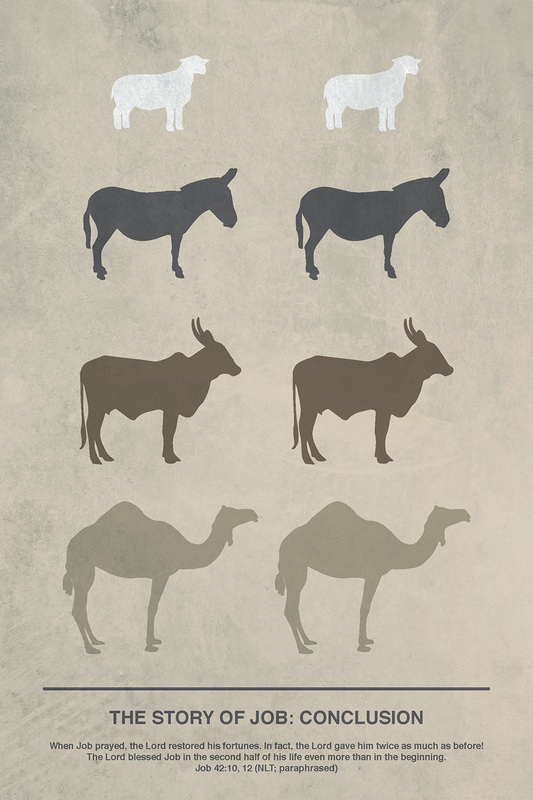 For now he had 14,000 sheep, 6,000 camels, 1,000 teams of oxen, and 1,000 female donkeys. He also gave Job seven more sons and three more daughters. He named his first daughter Jemimah, the second Keziah, and the third Keren-happuch. In all the land no women were as lovely as the daughters of Job. And their father put them into his will along with their brothers. Job lived 140 years after that, living to see four generations of his children and grandchildren. Then he died, an old man who had lived a long, full life." When I was a kid, I was obsessed with Mighty Morphin Power Rangers—the original kind, not the weird ones of today. Growing up, I collected all the Power Ranger toys I could get my hands on, including every action figure and zoid. In fact, I was even an official Junior Power Ranger! I was totally sold out on them. There was only one toy I really wanted to complete my collection: the Power Dome Morphin Playset. That's right, I'm talking about the headquarters of the Power Rangers. For months, I obeyed my parents and did everything they needed done around the farm. I vacuumed, washed dishes, mowed the yard, walked beans, greased tractor parts and washed the dog after it had been sprayed by a skunk. I was willing to do anything in hopes of earning my reward—the Power Dome! In today's story, Job's friends got themselves into a bit of trouble. They were going through all the motions and advising Job in all kinds of ways they thought were right. They pushed their own actions, own opinions and own perspectives onto Job. In the beginning, they meant well (remember Part 4 of this story? ), but things escalated when they continued pushing their own agendas onto Job. In comparison, Job remained true to what he knew God was calling him to, even though it meant ignoring the advice of his friends. Obedience is key in our walk with God. In Romans 2:6-8 (NLT) Paul writes, "He will judge everyone according to what they have done. He will give eternal life to those who keep on doing good, seeking after the glory and honor and immortality that God offers. But he will pour out his anger and wrath on those who live for themselves, who refuse to obey the truth and instead live lives of wickedness." Much like Job's friends, early in my walk of faith, I was going through all the motions. I meant well. I attended church, volunteered as a youth leader, gave money and joined committees. I was doing all the things I was supposed to do, because that's what I thought was right. God really opened my eyes one morning while I was doing my daily devotional. I came across 1 Samuel 15:22 (NLT) which says, "But Samuel replied, 'What is more pleasing to the Lord: your burnt offerings and sacrifices or your obedience to his voice? Listen! Obedience is better than sacrifice, and submission is better than offering the fat of rams.'" God was telling me that I needed to be listening to Him every day of the week, not just on Sundays. I needed to be sold out to God, listening for His voice and obeying Him daily. Ever since that morning, I have been following through on that commitment. Like in Job's results, I too have noticed blessings in my life like never before. What God has been blessing me with is so much more meaningful than anything the world could have given me. Looking back on my childhood, I thought the Power Dome was all I really needed. I desired it so badly that I was willing to do anything for it. Today, God is calling me to be like that little kid, but instead of toys, God wants me to be sold out on HIM. By obeying His word and following the steps of His son Jesus, He promises that one day I will be given the best reward ever—eternal life with Him in Heaven.